Do you like gratuitous violence and lots of big/little lies? Or perhaps you’re a stickler for mobsters throwing their enemies into a river? HBO, which stands for Home Box Office, has arguably been the premier destination for premium entertainment for well over a decade now. From Game of Thrones to Westworld, The Sopranos to Big Little Lies, HBO has been behind some of the biggest smash hits in television history. 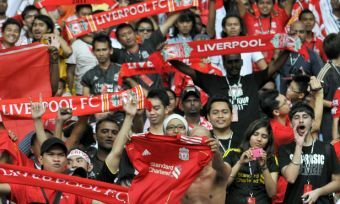 So how can you get it in Australia, how much does it cost and is it worth the fuss? Read on to find out more. How do I get HBO in Australia? 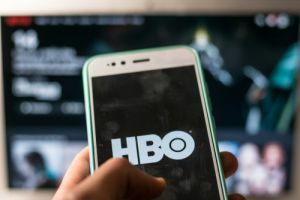 Barring the use of several workarounds such as a VPN to access US streaming, there is currently no way to access the HBO channel in Australia legally, unless you go through Foxtel and the ‘Fox Showcase’ channel. Amazon Prime Video also grants access to HBO to US residents, but this content is blocked in Australia; the service has even gone so far as to detect VPNs, making it harder to get access to the juicy stuff. So, it’s pretty well established that to get HBO shows you pretty much have to get Foxtel. The alternative is to get traditional fixed Foxtel with any of the packs that include the ‘Drama’ pack. Currently the Drama pack is included on all four of Foxtel’s bundles, otherwise you can easily build your own package. Foxtel often includes discounts, included installation and more. 4K Streaming: Showtime currently does not stream in 4K, but does stream in HD. With the arrival of Foxtel’s first channels in 4K in late 2018, it’s probably only a matter of time until Showcase is. HBO Australia Arrival Date: HBO currently has a deal with Foxtel, hence why its own service is not available in Australia. Connectivity: Showcase is able to be streamed through Chromecast and Foxtel Now allows you to stream two devices at once, enabling account sharing. HBO has enjoyed a fairly long-running partnership with Foxtel, and until that partnership is relinquished, it seems unlikely for there to be any real alternatives in Australia. HBO Now is HBO’s streaming service, and it’s available in many countries… but not Australia. Surprise, surprise! HBO Now grants access to the channel’s entire library of content, including original series, sports, documentaries, comedies and more. It was launched in 2015 and has expanded to European countries, among others, but still no service for Aussies. For those with other means of acquisition – such as a VPN – HBO Now costs USD $15 per month and supports three simultaneous streams. With conversion rates considered, this makes the service more expensive than Netflix and Stan, as well as Foxtel Now’s Drama pack. Telstra offers add-on Foxtel packages as a bundle with broadband plans, where $90 can get you unlimited data plus a couple Foxtel packs added on. You can also sign up to Foxtel Now from $25 per month in addition to your Telstra plan. Aussies admittedly have it pretty tough when it comes to streaming US content. 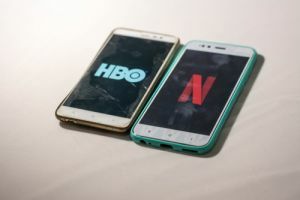 HBO Now is famously one of the only services notably absent from the landscape, and this is due to its partnership with Foxtel. To get HBO content on Foxtel you’ll need to get access to the Showcase channel, which is found on the Essentials (Pop) pack on Foxtel Now or the Drama pack on normal Foxtel. For the technologically inclined, those with a VPN may be able to bypass local IP blocking and get access to US HBO Now, but it’s a grey area at best and you’ll have to do your research here. Nevertheless, HBO has birthed some strongly desirable and addictive content, including Game of Thrones amid countless other shows. Those who are determined to watch it will either front up the money for Foxtel or find any other means necessary.